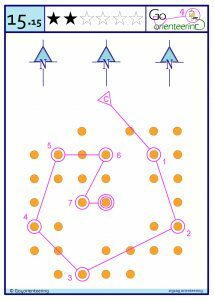 Go4orienteering offers 2 types of exercising sets: the in and outdoor exercises and the simulation training exercises. Both of them are suited for all ages as well as for the beginning or experienced runner. The in and outdoor exercises are ideal for club trainings or for warm-up before a classic training. 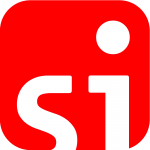 The simulation training is suited for groups or can be done individually. More details can be found in the set itself. 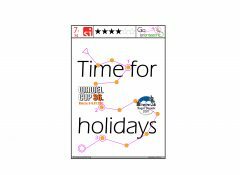 Initially the purpose of Go4orienteering was to provide an answer to the lack of means and time the teachers have. 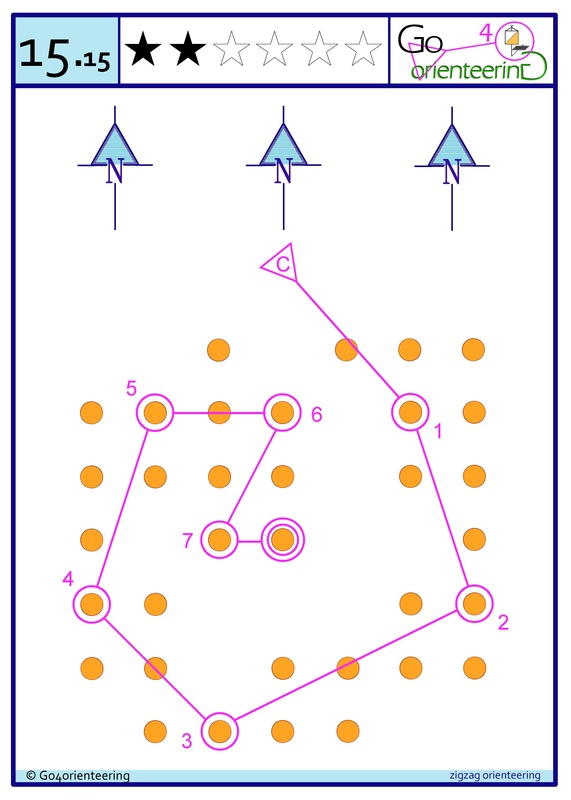 The result is an extensive set of in and outdoor exercises to practice the basic techniques of orienteering in a playful way. The playful character is the reason why younger people don’t realize that they are running during the exercises. Running is difficult and tough for many especially when they have to run laps on an athletic track in a certain time limit but while doing the exercises running is not considered as such. In a lesson of 40 minutes with an emplacement of the cones as in the example alongside, and spread on a half football field, the same distance is achieved as during a lesson of endurance. 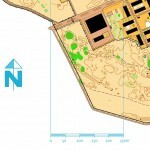 From this perspective we became aware of the fact that Go4orienteering has more potential than just the learning of the basic techniques of orienteering. 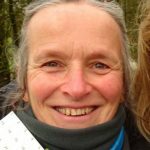 Go4orienteering is not only focused on schools but is addressed to anyone who aims to exercise or make people move, youngsters or adults. The exercising set has some exercises that can be done by children of the age of 6 or 7 years, while most of the exercises can be done by young people from 8 years on. Don’t let this youthful age scare the more mature people. From experience it is clear that age does not matter, everyone thinks the exercises are fun and challenging. A sports club often lacks motivating youngsters who persevere and stay motivated to continue to higher levels or age categories (drop-out, etc.) 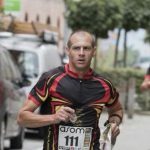 The exercises of Go4orienteering offer the possibility to introduce variation in the training schedule of a club. More details can be found in the set itself. 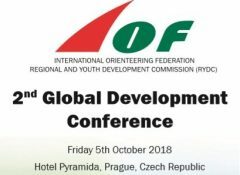 In many Youth Associations orienteering is part of their training. 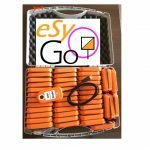 The in and outdoor exercises set of Go4orienteering is therefore the perfect tool. 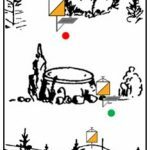 The exercises combine game, physical and mental training as well as learning to orienteer. They can easily be fitted in as year, day or complementary activity. The elementary but o so important basic techniques of orienteering are taught instinctively: keeping the map orientated, working with the map in front of you (always being behind the map) and keeping contact with the map. On top of that there is little material needed. As an example the exercises can be done with bamboo sticks, chairs or other available objects.